Across the world, the Christian communities today are celebrating the Festival of Easter. The religious practice of Easter seeks to commemorate the resurrection of Jesus Christ (as). The rituals and traditions that make up this festival have interesting origins in the ancient world. In other words, the lineage of the present festival and associated rituals can be traced back to the pagan worship norms of ancient communities. As it happened, the pagan practices were adapted and modified and transformed to a ‘Christian’ milieu. It is apparent that to accommodate the deviations from the original message of Jesus (as), much theological engineering was done to reshape and reconstruct the belief systems within Christianity as well. 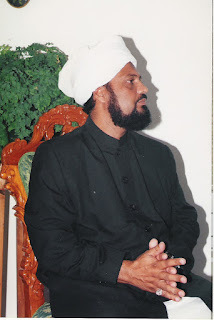 In his Friday Sermon of 29 March 2013, the Khalifatullah Hadhrat Munir Ahmad Azim Sahib (atba) of Mauritius throws searching light on the pagan origins of these Christian religious practices by drawing upon the studies and writings of Christian scholars. Easter is a day that is honoured by nearly all of contemporary Christianity and is used to celebrate the resurrection of Jesus Christ (Hazrat Isa (as)). Christian believes that Jesus (as) rose again from the dead three days and three nights after he was crucified. The holiday often involves a church service at sunrise, a feast which includes an “Easter Ham”, decorated eggs and stories about rabbits. Free thinking Christian scholars in bewilderment have often questioned all these incongruous activities. Why rabbits? Why not a puppy or any other animals? 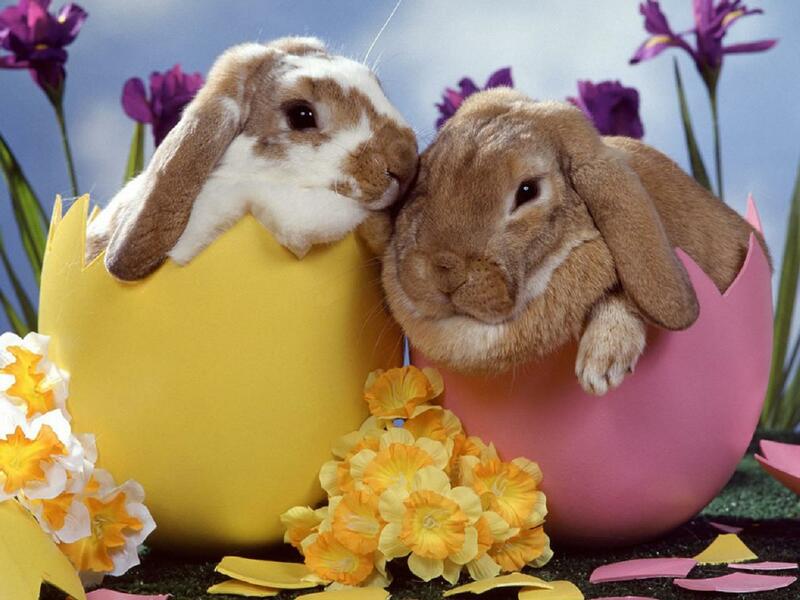 Rabbits do not lay eggs, why not orange or onions etc., because they also roll. Why are these traditions so ingrained in Easter Sunday? And what do they have to do with the resurrection of Jesus? 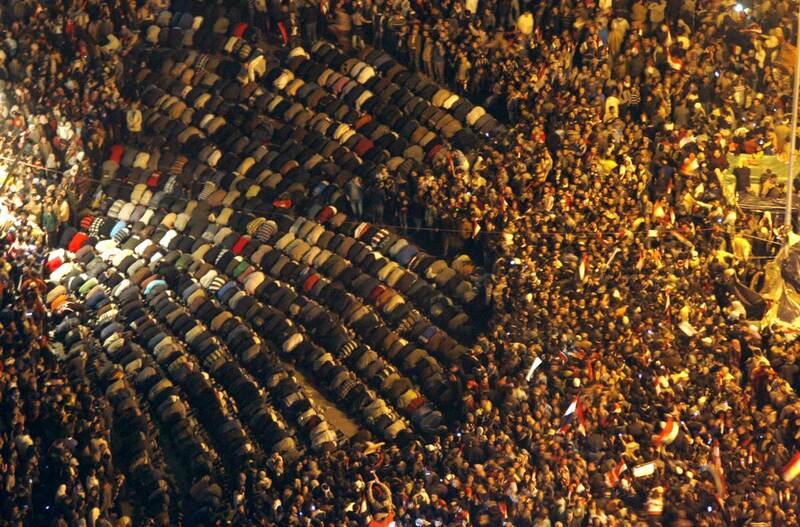 March 23 is an important date in the modern history of spiritual Islam. It was on this Day in 1889 that the the Jamaat-e- Ahmadiyya was established by the Promised Massih Hadhrat Mirza Ghulam Ahmad (as) of Qadian. [Inset: a photo from the 2005 Jalsa Salana at Qadian, which the present writer attended]. 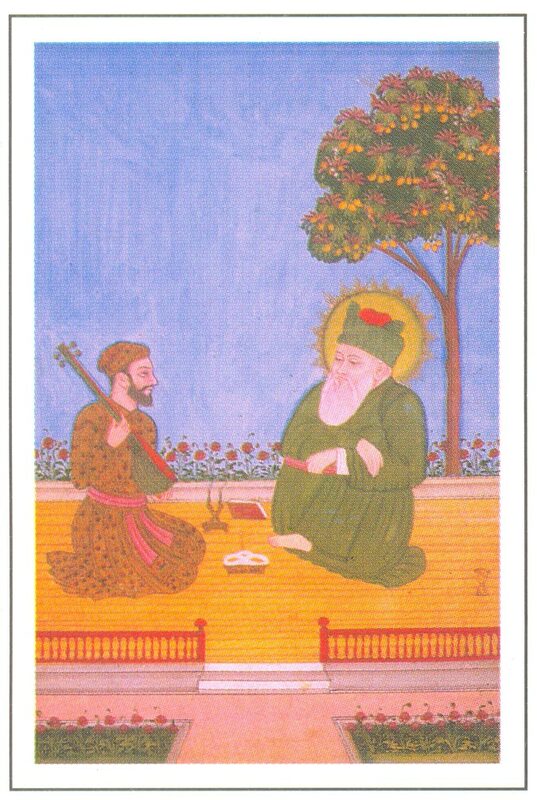 He initiated the Bai’at Programme through which devout Muslims could express their allegiance to the Divine appointee. In a special speech to mark the occasion on Saturday, 23 March 2013 the Chosen Messenger of our times, the Khalifatullah Hadhrat Munir Ahmad Azim Sahib (atba) of Mauritius spoke at length about the sacred, foundational prophecies that undergird the belief about the coming of Divine Messengers/Massihs’/Mahdis’ in the Latter Days of Islam. The speech beautifully captures the essence of Divine prophecies foretold in the sacred writings of Muslims, Christians and the seers of other religious. 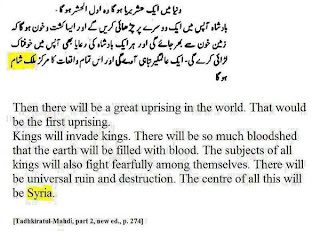 It demonstrates how these prophecies have been fulfilled in the times of the Promised Massih (as) and also reflects on their contemporary significance. 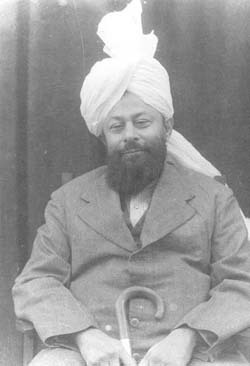 The spiritual outlook regarding the continuity of Divine revelations and the appearance of Divine Messengers in future, who will speak with the Holy Spirit, as emerging from the writings of the Promised Massih (as) and as discussed in the speech must be of special interest to devout Ahmadis. Today 23 March 2013 establishes 124 years since an event took place in the once unknown small village – Qadian – situated in the province of Punjab in India. It was an event destined to change the course of history. In Islamic literature, the Quran predicts a thousand years during which Islam will suffer an extraordinary decline. “He regulates His command from the heaven to the earth; then shall it ascend to Him in a day the measure of which is a thousand years of what you count.” (As-Sajdah 32: 6). The Holy Prophet (peace be upon him) has predicted that this decline will not begin until three hundred years after his advent: “The best century is the one in which I live, then the second and the third will be good, afterwards lies will spread, truth shall disappear; cruelty, excesses, differences and divergences shall appear”. 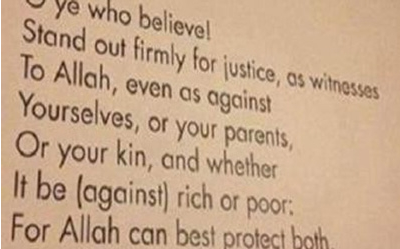 (Miskat, Bukhari & Tirmidhi). 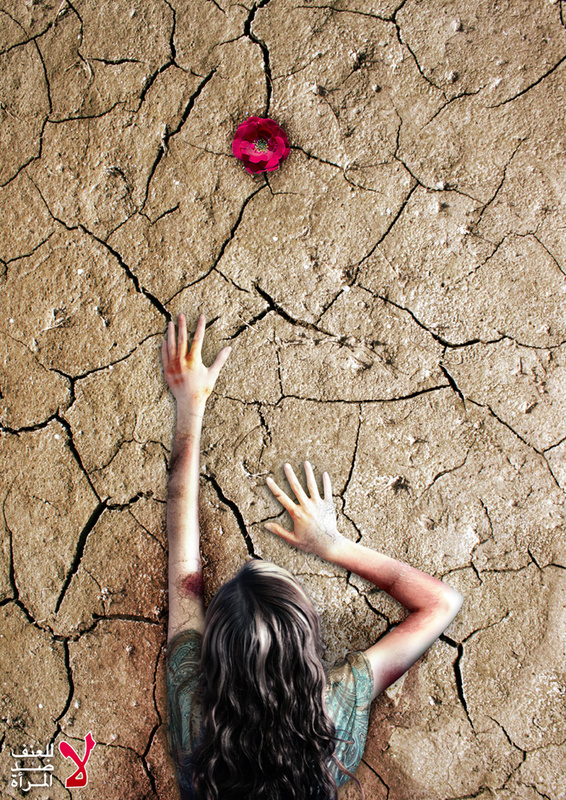 The political, economic and ideological precepts and value systems being practiced today are leading the world of states, inevitably and inexorably, to the brink of natural and man made-disasters and even, world war. On the other hand, as a religion, Islam offers a fascinating, analytical framework to lead life in all its complex settings. 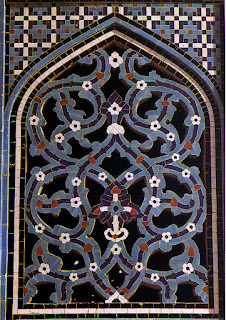 Islam’s ability to appeal to the human mind and its innate capacity to recognize and accede to what is just and right and morally appropriate is evident from its great confidence and self assurance in declaring that the norms, principles and methods that Islam deploys to analyze and critique the worldly systems and competing idéologies, will eventually gain universal appeal and traction. The open challenge to produce an equally appealing, if not exceeding, philosophy of life that Islam presents to the world stand testimonial to this magnificent edifice, built on the sure foundation of guidance from a Living and Ever-Subsisting God, as against the illusion-filled worship or pursuit of mere human images and conceptions. 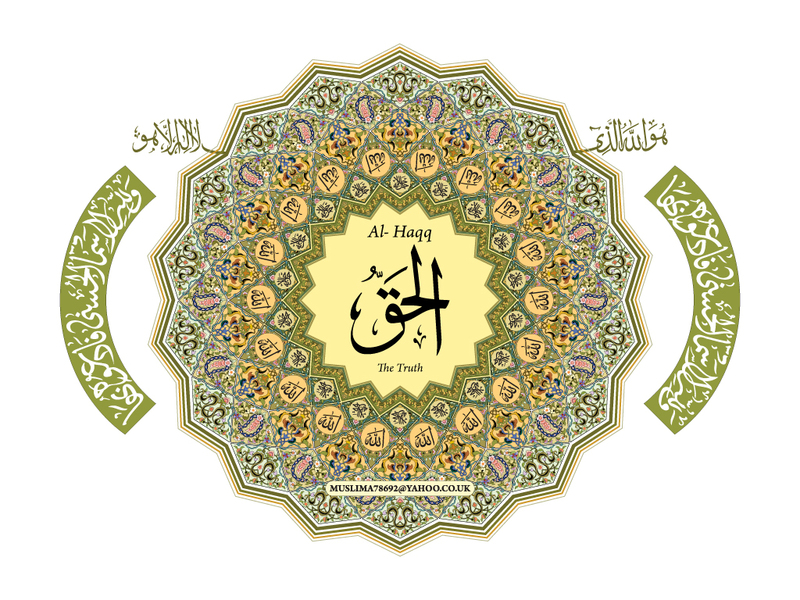 Through his exemplary personal conduct and exceptional sacrifices, the Holy Prophet of Islam (sa) portrayed the trajectory of practical spirituality in individual and social life. Hadhrat Muhammad (sa), thus, left enduring imprints on the sands of time for all peoples and souls in search of the ultimate Divine reality. It is astonishing to note that even at times when material preoccupations have corrupted the general Muslim populace, Islam’s inherent capacity to produce the Divinely-raised saints in every age was never in doubt. These saints or Khalifatullah, who gave practical guidance on the ordinances of spiritual life in their epochs, injected fresh blood and revitalized Islam through their tireless sacrifices and striving in the cause of Allah and His religion. As a way of life, the superiority of Islam over all other frameworks and ideologies, is self- evident to Muslims who practice Islam. The incremental expansion of the Muslim Ummah, in its own way, slowly but surely, testifies to the turning tide and the inevitable victory of the Divine Truth. The Jamaat Ul Sahih Al Islam is today engaged in this noble and extraordinarily important mission of spreading the message of Islam at many, different levels, with different initiatives being pursued simultaneously. In his Friday Sermon of March 15, 2013 the Khalifatullah Hadhrat Munir Ahmad Azim Sahib (atba) of Mauritius exhorts the noble believers to imbibe and imprint in their hearts the culture of supreme sacrifice and mighty striving and do all they can in their every day life so that the glory of Islam can illuminate the world in its darkest hour. According to the Holy Qur’an, men of purified intelligence can ‘read’ the ‘world’ as a ‘text’. For, the Signs of Allah are present everywhere for the discerning eye. And there are many prophecies that will find there fulfilment in the promised Latter Days of Islam. 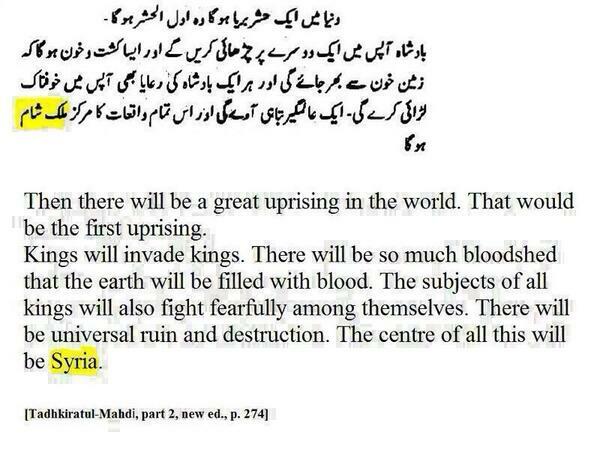 Many of these prophecies have been indeed fulfilled in the times of the Promised Massih Hadhrat Ahmad (as). And hidden dimensions and other subtleties of those prophecies unclear in the previous era will unveil itself and become apparent in the present times, Insha Allah, with Allah the Most High raising His Chosen Messenger for the era, Hadhrat Munir Ahmad Azim Sahib (atba) of Mauritius amongst us, Alhamdulillah. One of the stunning prophecies made by the Promised Massih Hadhrat Ahmad (as) was about the arrival of the ‘Zaki Ghulam’/ ‘Musleh Maoud’ in the Jamaat-a- Ahmadiyya, who would be a servant of Allah for his times. Ruminating on future world events, the Promised Massih (as) indicated about troubling times ahead when there will be wars and countries invading one another, and instances of kings subjugating kings. He specifically mentioned that the centre of these all-encompassing troubles shall be Syria and that is the political and material context in which the Musleh Maoud would be making his Divine Mission. Most aspects of the signs were fulfilled in the times of Hadhrat Khalifa Sani Mirza Bashir-ud-Din Mahmud Ahmad (ra), physically and literally. When Hadhrat Khalifa Sani (ra) made his public claim of being the Musleh Maoud, the Second World War was still raging and there were troubles all over the Middle East and beyond, as indicated in the sacred prophecies. It is astonishing to note that a great blessing for our times is that Allah has once again raised a spiritual son of the Promised Massih (as) with the grand title of ‘Musleh Maoud’ on February 20, 2004. It is also instructive to note that the political and military scenario emerging and unfolding in our times as well point to the arresting scenarios divined in the prophecies, if one pays close attention to the developments in the Arab world in the last decade and elsewhere. Indeed, for those who believe in Allah and His astoundingly subtle ways, these are times of a second Musleh Maoud in the personhood of Hadhrat Munir Ahmad Azim Sahib (atba), spiritually and metaphorically fulfilling the great Divine prophecies in this era. 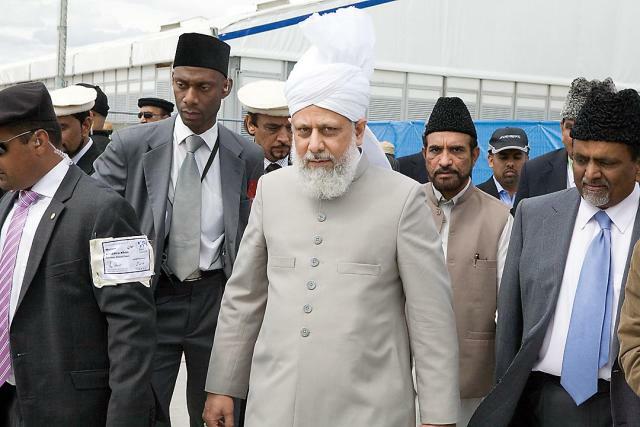 The Ahmadiyya Muslim Community takes pride in the Khilafat system which they have instituted among themselves. They elect their Khalifa from among themselves once a vacancy arises within the leadership. Both literally and in fact, that is the practice. Yet, Ahmadi leaders delude themselves to believe that they did not elect their Khalifa and that the electoral process in the International Majlis Shuura, is simply and merely a method for the implementation of the Divine Will, as their minds conceive it. And the Ahmadiyya theology would have us believe that the Khalifa or the man-elected-man enjoys the shadow of Divine favour and protection. With such theological technologies at hand, the leadership practices sophistry with élan: common folks in the Jamaat have been hoodwinked into vain desires of Divine nearness by their leaders for too long. Yet when you question Ahmadis about the Divine connection of their Khalifa, honest among them will admit: they have no sure knowledge on it, and they are merely following conjectures within the Jamaat and they never applied their reasoning power on their beliefs. 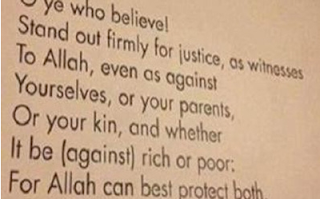 It is instructive for Ahmadis to remember the admonition of the Holy Qur’an which provides a simple method to test the veracity of claims: And they say, ‘None shall enter Heaven unless he be a Jew or a Christian.’ These are their vain desires. Say, ‘Produce your proof, if you truthful.’ [Surah Al Baqarah, 2:112]. 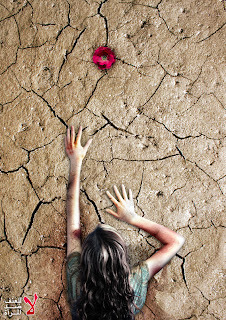 Unfortunately for the Jamaat –e- Ahmadiyya, the deep waters of Divine favour seem to have been dried up in our times. The present Khalifa Hadhrat Mirza Masroor Ahmad Sahib seems to have been deprived of the great and august blessing of Divine revelations. There is damning evidence that corroborates the assertion that Masroor Sahib does seem to have been stripped of this great Divine favour: for he completes almost a decade on the high seat of Khalifa, without ever presenting a Divine Message. One of the most important beliefs among the Muslims is the appearance of Al Imam Al Mahdi in the Latter Days. The grand prophecies of the Holy Prophet of Islam (sa) regarding the appearance of his substitute in the Latter Days also point to the sign of solar and lunar eclipses. The appearance of the Divinely-ordained soul took place at the appointed time and the signs of celestial events also fulfilled as foretold in the holy traditions. Allah the Most High kept his side of the bargain. Yet, the world in general and the contemporary theologians in particular, rejected him. In his Friday Sermon of 22 March 2013, Hadhrat Khalifatullah Munir Ahmad Azim Sahib (atba) of Mauritius reflects on the personal background of Hadhrat Mirza Ghulam Ahmad of Qadian who was raised to the august spiritual office of Al Imam Al Mahdi by Allah the Most High, against the backdrop of the decline of the fortunes of Muslims in India and their capacity to articulate Islam’s spiritual appeal in general. In his speech, the Khalifatullah (atba) bears witness to the sublime truth of Hadhrat Ahmad (as) and further, confirms that his own Divine Mission in this era is inextricably intertwined with the Divine Mission of the Promised Massih (as) in the previous era. The year 1835 holds a proud place in the human calendar. During that year a child was born in Qadian, an obscure village in northern India. For generations his ancestors had ruled with distinction over the region around Qadian. Prior to his arrival even Islam fell in decline and lost much of its glory. The child who was born was not ordinary. He was intended to bring about a great revolution not only in the realm of the spirit, but also well into the realm of matter. He was born on 13 February 1835 and was named Ghulam Ahmad by his parents and later became famous under the name of Hazrat Mirza Ghulam Ahmad Qadiani. He was appointed by God as the Messiah and Mahdi. In a special speech delivered on the occasion of the Musleh Maoud Day on February 20, 2013 Hadhrat Khalifatullah Munir Ahmad Azim Sahib (atba) of Mauritius paid glowing tributes to the grand prophecy revealed to the Promised Massih Hadhrat Mirza Ghulam Ahmad (as) regarding the birth of an auspicious, blessed, fortunate son who would be a servant of Islam. Extolling the literal and physical fulfilment of that great prophecy in the time of the second Khalifa of the Jamaat-e- Ahmadiyya, Hadhrat Mirza Bashir-ud-Din Mahmud Ahmad (ra), the Chosen Messenger of Allah of our times points to the contemporary relevance of this prophecy. A revelation of Allah can be realised in many ways and in different eras also. Just as there was the physical fulfilment of this prophecy in the previous period, the metaphoric and spiritual fulfilment of the prophecy takes place in this era on 20 February 2004, when Allah the Most High raised Hadhrat Khalifatullah with the title: “Musleh Maoud”. Further, drawing upon the principles of interpretation of numerical values familiar to the great, mystical saints of Islam, Hadhrat Sahib provides an interesting explanation regarding the fulfilment of the prophecy in this era on his august personhood, Alhamdulillah. The great Qur’anic prophecies regarding the Signs of the Latter Days certainly seem to have come to fruition in our age. A question to ponder: When the signs are apparent and obvious, wouldn’t Allah raise His Messenger as well? As the Qur’an tells us: “There are lessons for those endowed with reasoning”. Reflective and discerning individuals would be awestruck by the stunning, literal fulfilment of Divine prophecies in our times. Consider this: the single most important fact of our times is the unprecedented and extraordinary phenomena of globalization. The great prophecy of the Holy Qur’an “when people are brought together” is magnificently fulfilled, literally in our times, in several, different ways thanks to the explosion in communication technologies and transportation mechanisms. Likewise, no age before ours has witnessed the transnational exchange of books and ideas as much as we do today: in the age of Internet, the virtual world of cyberspace fosters an information revolution of unimaginable proportions. 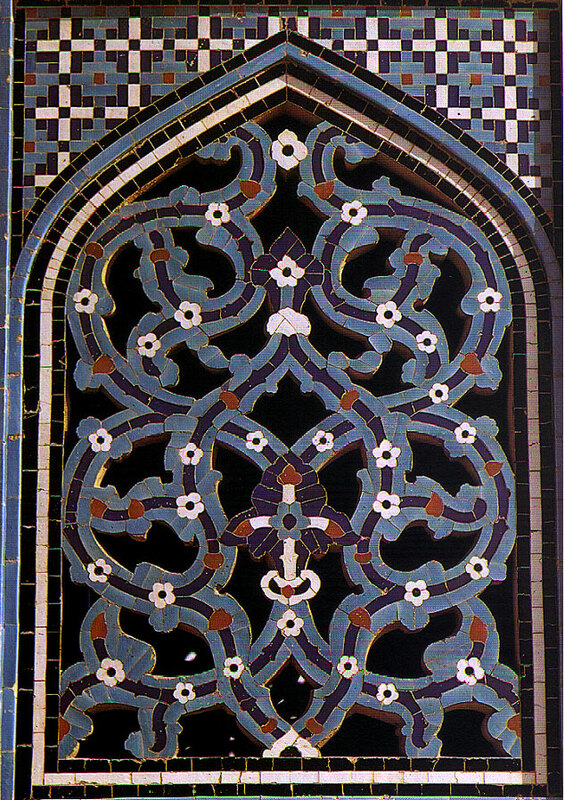 It is also of particular interest to note that in our times, at a time when even in Muslim societies, the equality of legal protection offered by Islam to women had been subverted by the misogynist, traditional interpretations, the assertion of women’s dignity and rights, identity and choices have begun to gain legitimacy and recognition in the public sphere. In any case, no age before ours has witnessed as much concern for the protection and dignity and rights of women and girls as much as our own age. Meeting on the heels of high profile violence cases against women in India and elsewhere that fuelled global outrage and rising demands for justice, the 57th Session of the UN Commission on the Status of Women, March 04- 15, 2013, adopted a forward-looking Agreed Conclusions. The document strongly emphasizes that violence against women is a human rights violation and calls special attention to the need for women’s and girls’ safety in public spaces, and for attitudinal changes through challenging gender stereotypes. It highlights the need to strengthen legal and policy frameworks, with important provisions on ending impunity, and ensuring accountability and access to justice, as well as addressing domestic violence. Prophecy on the "ARAB SPRING"
Contemporary world is characterized by an upsurge of democratic aspirations and collective struggles over fundamental human rights and freedoms and the quest for dignity and quality of living standards. And the signs of the "Latter Days"- prophecied in the Holy Qur’an -are apparent everywhere: in contemporary history, national political orders, international relations, economic systems, governance systems, human rights, women’s rights, scientific breakthroughs, technological innovations, emergence of geological and astronomic insights, the phenomena of globalization, etc. At another level, developments in all fields of human activities and critical intellectual engagements, both in the Arab world and outside it, in our times, provide a profound testimonial to the wisdom and foresight of the author of the Holy Qur’an which contains the promise of enduring divine guidance for the believers along with the prophecies on the signs of the “Latter Days”. It is to guide the mankind in these troublingly complex times that the Holy Qur’an prophecied about the advent of Divine Messengers in the Latter Days. According to the Holy Qur'an, "Allah knows best where to place His Message" [6:125] and He raises His Messenger accordingly. We are, thus, living through a defining moment in world history: at a time when a Messenger of Allah in the person of Hadhrat Munir Ahmad Azim Sahib of Mauritius (atba) is present among the African people to guide us on the path of spiritual upliftment and material progress. Hadhrat Khalifatullah’s statements in 2009, appears in retrospect, a prescient forecast or prophecy on events yet to unfold with the recent emergence of the Arab Spring when the Arab massess in North Africa Tunisia, Egypt, Libya, Algeria and elsewhere- revolted against their dictatorial elites and liberated themselves from decades of oppressive oligarchies. “The world of dreams is in a manner like the world to come. The wonders that nature has sealed up in the dreamland and the mysteries therein and the manner in which these spiritual phenomena appear are similar to that of the Hereafter. One might say that the dreamland is a kind of reflection or a photograph of the world yet to come. That is why death and dreams have been spoken of as real sisters, alike in their features, appearance, components and integral parts. The only way to have a glimpse at the secrets of the world to come without the aid of inspiration and revelation, is this source- the world of dreams; it is, therefore befitting for the wise and thinkers, if they are keen on acquiring some knowledge of the happenings of the next world, that they must ponder and deliberate over the happenings in the dreams because the wonders of the world to come are not unlike the wonders of the dreamland. Just as the state of dreams is created after a strange change so are the conditions transformed in the Hereafter”.- Hadhrat Mirza Ghulam Ahmad (as) of Qadian (SURMA CHASHM ARYA; p. 159). By the grace of Allah, Allah keeps sending new revitalising signs in His Divine Manifestation as a constant blessing. In other words, Allah keeps on pouring down His multitudinous spiritual grace in the hearts of both His Chosen Servant, the Khalifatullah of this era, Hazrat Munir Ahmad Azim (atba) of Mauritius and the sincere believers in his advent. For the benefit of our readers, we present below two important dreams (dated Sunday 24 February 2013), one seen by the Khalifatullah (atba) and the other by one of his most devoted, wise and pious disciples. Worshipping human beings and false gods have become widespread practices in many societies. 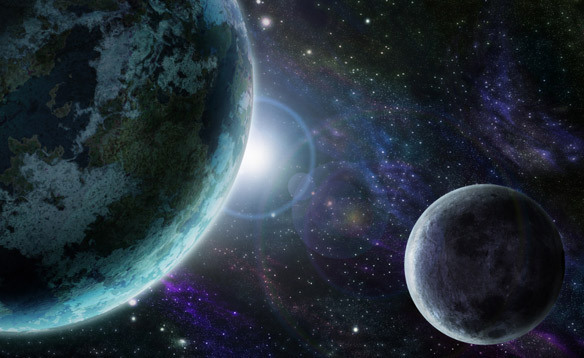 The delusions of grandeur and illusions of vanity of man are deeply imprinted on his errors of omission and commission that threaten the very future of life on earth. In short, both the ‘faith’ of man and his actual deeds testify against him today. By rejecting or ignoring the path of the Supreme Being and corrupting his deeds, man invites upon himself the Divine Wrath. According to the Divine Messenger of our times, Hadhrat Munir Ahmad Azim Sahib (atba) of Mauritius, the secret wishes of an offended God will become apparent in the days to come and “He will reveal His face with majesty and terror”. In his Friday Sermon of 08 March 2013, the Khalifatullah exhorts the people to recognize the signs of the times and display sincere repentance and change of heart by following the Divine commandments and messages available today. I constantly think about the possibility of a decision between us and Christianity. My heart bleeds and suffers a lot when I ponder over the error of the worshipping of the dead, as there is no more painful thing than to have a humble human being worshipped by people. And this is also found in Hinduism where Hindus deify the Messengers of God and even others who are not religious. 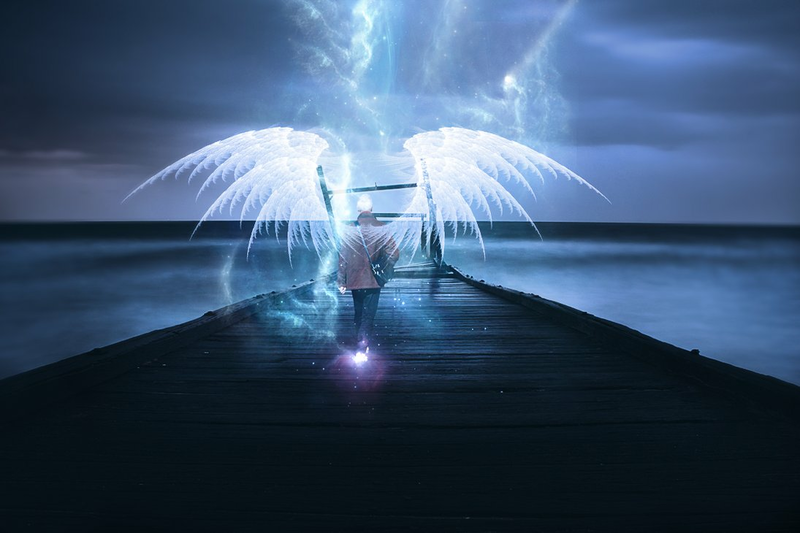 Divine Messengers appear to call the people back to the sublime path of spirituality, especially when the times witness the materialistic inclinations in society. Since the mundane preoccupations of the affluent will delude them about their sense of destiny and privilege in society, only a few (weak ones) will join the league of the Messenger, initially. Yet, it is a recurring irony of history that the truth of the Messenger and the power of his messages triumph against all odds. In spite of apparent weaknesses in terms of material means and riches, the small band of believers prevails over their powerful adversaries. How does this stunning transformation in the fortunes of the two forces come about? What are the spiritual principles in operation in this battle of ideas? What lessons can we learn from the majestic example of the Holy Prophet of Islam (sa) and from the experience of the Awwaleen (first disciples)? In his Friday Sermon of 15 February 2013 the Khalifatullah Hadhrat Munir Ahmad Azim Sahib (atba) of Mauritius continued the discourse on victory of truth over falsehood in the spiritual realm. Drawing upon the lived experience of Divine Messengers of the past and the history of spiritual communities, Hadhrat Sahib (atba) offers an eloquent explanation on a very complex and multi-layered subject of much significance for spiritual seekers in every age. Addressing the small band of believers -Jamaat Ul Sahih Al Islam-, the Messenger of Allah of our times pointedly observes that if they reflect the “light of Allah” in their everyday lives, they will gradually overcome the forces of falsehood and emerge triumphant: “it is this light itself which shall bring into operation all these changes”. The essence of pure belief is captured in the concept of Taqwah or God- consciousness. When one attains a stage of certainty of faith and establishes a true and real bond with the Truthful Being, it invariably leads to changes in a person- in one’s perceptions and priorities, both internally and externally. Such a person shall be able to walk under the shadow of Divine Help. The special Light or guiding force takes care of all his/her/their spiritual and material affairs in ways that will baffle and confound the mundane world. When a community of such believers straddle the earth, the spiritual light it emanates will illumine the world, conquering the darkness of disbelief and forces of evil. Such a community, howsoever small or insignificant in numbers or material riches it might appear, eventually vanquish their apparently ‘superior’ enemies in the battle of progress and endurance. The universality of this spiritual principle is a recurring theme in the lived history of Divine Messengers and their spiritual communities. The most important testimonial of its practical application is available to us from the times of the Holy Prophet of Islam (sa) when the early believers have had to literally confront, far superior armies on the battlefields. It is the readiness to struggle and sacrifice, make efforts and change destinies that characterizes and distinguishes a believer from others. Through grit, determination and a sense of pure belief, the small band of believers go on with their tasks and missions, achieving what are, otherwise, apparently formidable and un-achievable. At another level, the principle is a profound commentary on the subtle ways of the Truthful God, AL HAQ. In his Friday Sermon of 08 February 2013, the Khalifatullah Hadhrat Munir Ahmad Azim Sahib (atba) of Mauritius provides a profound commentary on the Divine Attribute of Al Haq and exhorts the believers - Jamaat Ul Sahih Al Islam- who have the Divine mandate to re-establish the faith in this age to take heart from the theory and praxis of this important spiritual principle in their every day lives. For Allah can best protect both". Through recurring revelations of unmistakable intensity and clarity, Allah the Almighty has charged Hadhrat Khalifatullah Munir Ahmad Azim Sahib (atba) of Mauritius with a heavy responsibility as a Warner sent unto mankind: to alert and warn the world about the impending Disasters. Thus, in his Friday Sermon of 01 March 2013 (17 Rabi’ul Aakhir ; 1434 Hijri ) Hadhrat Sahib has had to convey to the world the spine-chilling news about the Disasters waiting to unfold in a striking way all over the world. The world appears to be condemned to witness the consequences of its evil ways : for the chronicle of earth-shattering events foretold include wars, calamities, ethnic conflicts, communal violence/racial riots, the destruction of despots and the desecration of cities. Allah (swt) chose me as His Khalifatullah in this era and my Creator has informed me through revelation several times since Friday, 08 February 2013 and continually so, till now that a third world calamity is to come. Despite the fact that these days all these calamities are hitting the world, yet people do not learn from these happenings, and these do them nothing that these calamities come from the Creator of the universe. They continue to persist in their sin and continue in the practice of Shirk on several levels. They have all forgotten the divine teaching; they trampled the teachings of God and give man’s words the greatest value. The majority of people in the world have turned their backs to the divine messages and rejected the Messenger of God in this present age.